Are New gTLDs Finally Finding Their Niche In The Marketplace? 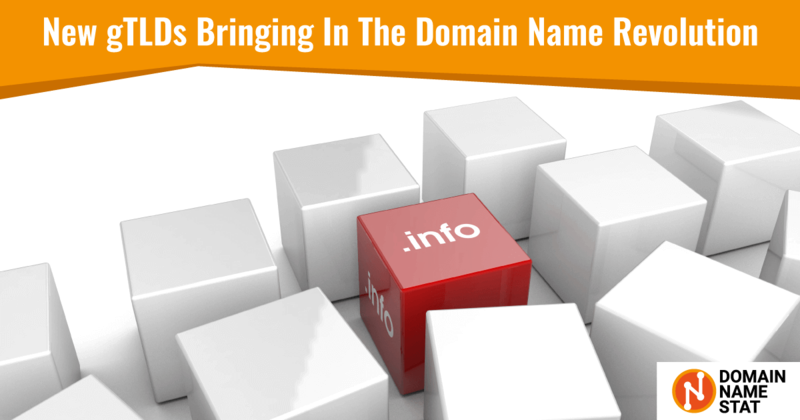 In early 2012, the new gTLD program initiated by ICANN enabled the largest expansion of the domain name system with the main aim to enhance innovation, competition, and consumer choice. New gTLDs were first introduced in October 2013 and by the end of 2014, hundreds of new gTLDs made their way into the Internet architecture. 2019 will now mark 5 years since the first new gTLDs came online and after a few rocky years, new gTLDs may finally be finding their niche in the marketplace. And this comes as no surprise! Anyone who has ever tried to buy domain names is likely to have experienced a problem that has plagued the World Wide Web since its inception - domain name unavailability. With legacy TLDs like .com remaining the most popular choice all this while, it’s difficult to get good, precise and short dot-com domain names. Also, the prices for short, one-word .com domains in the aftermarket are increasing and are being sold for millions of dollars in domain auctions, the highest bid until now is Insure.com, which was sold for a whopping $16 million. While the .com extension certainly is not going away any time soon (not with over 145 million domains registered as of December 2018), small and large brands alike are now gravitating towards the many hyper-specific alternative extensions available today. According to Verisign, one in five domain name registrations in the last year was on a new gTLD! For the first 3 years, since the introduction of new gTLDs in 2013, less than 10 million domains were registered with new extensions. But with the exponential growth of the web, and the growing demand for domains for personal, professional, organizational, service or even national usage, people started seeing the various advantages that these new TLDs have over legacy TLDs (which we will discuss later in the blog) for their businesses. In the year 2017 itself, 9 million domain names were registered – the same number of registrations that took nearly 3 years initially. Domain under the new gTLDs for 2018 totals some 22.5 million – up 11% from the previous year. For instance, .app, a new entrant launched by Google, exploded into the market in the middle of the year and has around 320K domains so far. 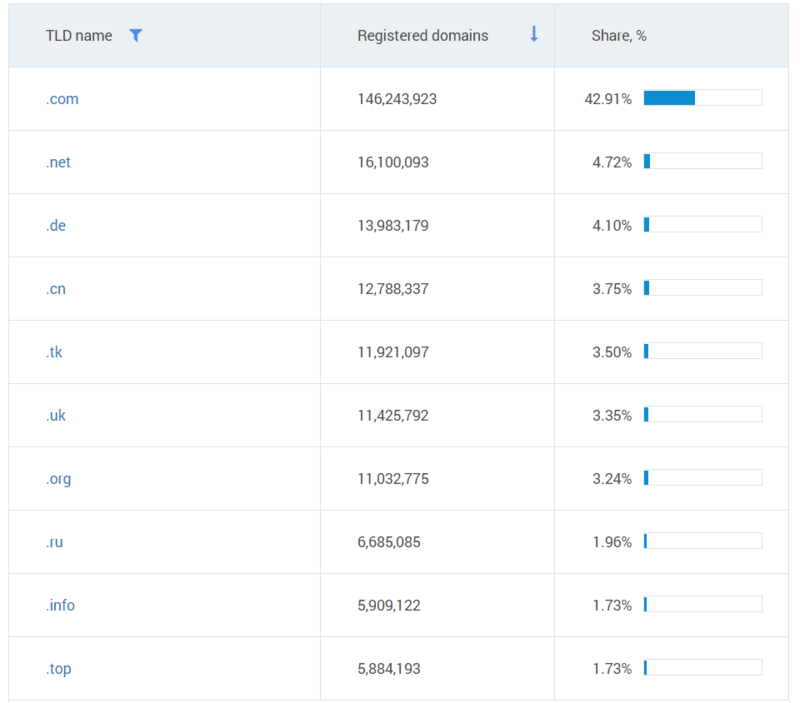 This tidal wave of new TLDs can be also seen with .info and .top joining the ranks in the top 10 registered domain TLDs, with legacy TLDs in such a short span. Saturation in more traditional domain name endings like .com, and country code TLDs (such as .uk, .tk and .cn). Low registration costs, volume discounts, and refund policies making them economically viable. More lenient regulations and ease in registration; people don’t face many issues in accessing their choice of domain names. Domain extensions representing a business, organization, cultural establishments, or even an individual’s location can be very helpful in strengthening regional business areas and cater to people of the same region where they are based out of. E.g .nyc, london, .dubai, etc. Professionals in specific specializations can have domain extensions that can explicitly mention the services they offer. E.g. .lawyer, .plumber, .design, .training, etc. Domain extensions that are open for anyone to register, without or with few restrictions. E.g. .info, .books, .cars, .guru, etc. New TLDs applied by companies to represent their brand. These are great for Fortune 500 companies who can now bring their entire products and service portfolio under the same umbrella. Those include .nike, .google, .ibm, .bmw, to name a few. Unfortunately, most of these won’t be open for registration by the public. The introduction of IDN – domains in non-Latin scripts – are enabling a multilingual Internet and allowing people to navigate the web in their own language. Some of the different language scripts that are available are: Arabic, Chinese, Greek, Devanagari and more. With an increasing number of new strings available to the public or to some specific organizations – a total of 1,222 at present, new gTLDs have the potential to be the future of the internet. In our next blog, we will talk about how these extensions are opening doors to new branding and identity options for businesses of all sizes. Stay tuned! Our services are offered under open content or data licenses. A link to our source is required when you copy or publish data for either personal or commercial use.